Bright yellow lemons and a girlish bow accent shape a sleeveless dress, ideal for warm weather occasions. Finish the look with a classic pair of sandals. 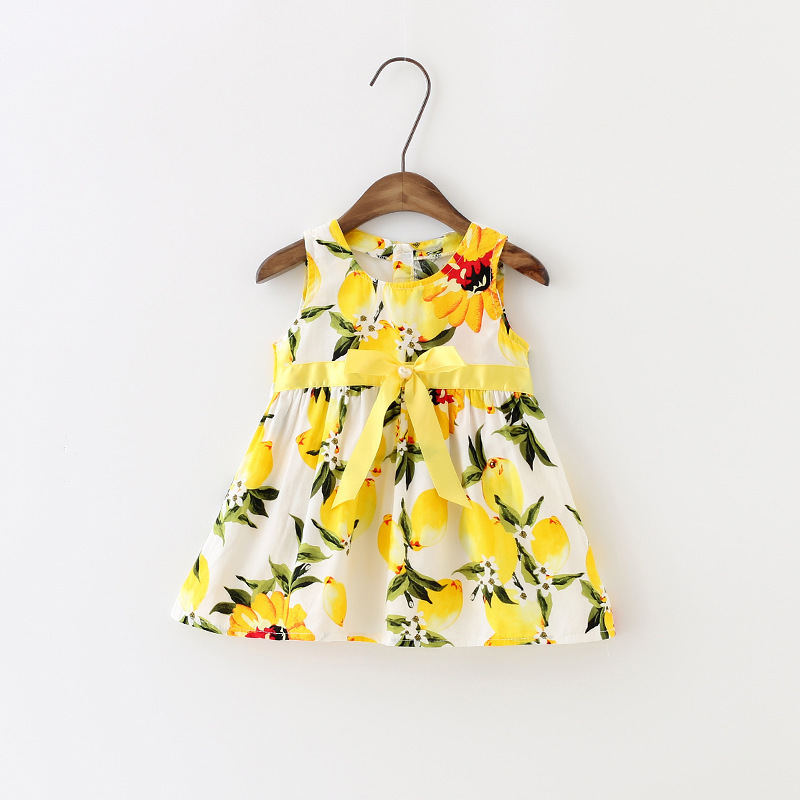 This baby girl lemon dress is very beautiful!